During the 1930s, the era of the Depression and the New Deal, American artists transformed printmaking into one of the decade's most exciting forms of art. As a cheap, vital, and egalitarian means of artistic expression, prints came close to realizing the ideal of creating "art for the millions." 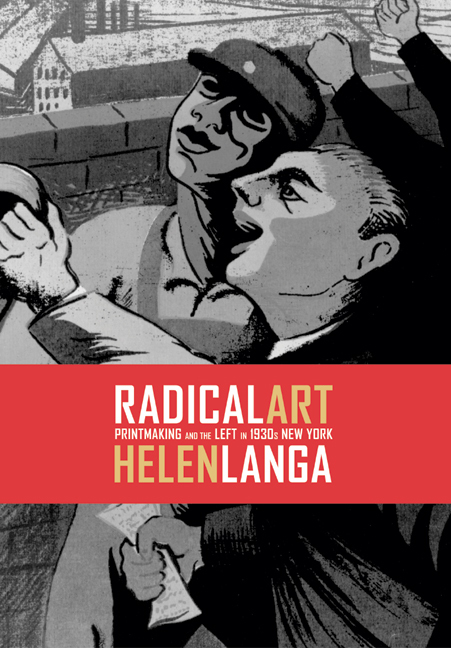 In this dynamic book, Helen Langa shows how innovative printmakers developed "social viewpoint" works that focused on contemporary issues of labor justice, antiracism, and antifascist activism. Discussing artists such as Aaron Douglas, Mabel Dwight, Boris Gorelick, Harry Gottlieb, Elizabeth Olds, Harry Sternberg, Joseph Vogel, and Hale Woodruff, Langa explains how they developed new types of meaningful content, worked in modern, yet accessible, styles, invented new technical processes, and sought fresh strategies for distributing their work to the public. Many, but not all, of the artists she considers worked for the Federal Art Project at the Graphic Arts Division workshop; each struggled to resolve the conflicting goals of reaching a mass audience while also critiquing social injustice and promoting radical idealism. Helen Langa is Associate Professor of Art History at American University.